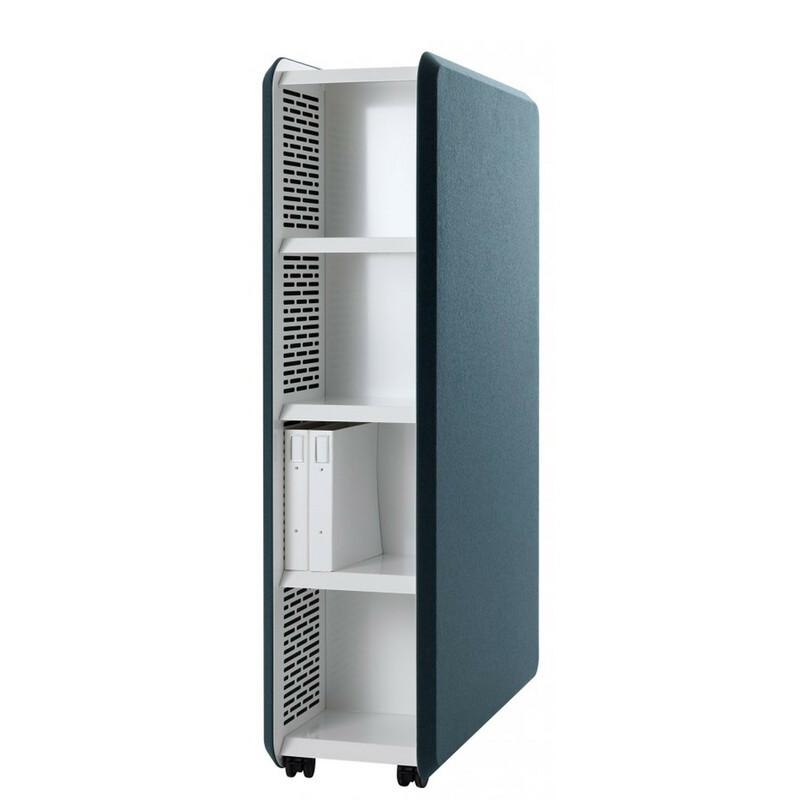 Domo Mobile Office Storage from Stefan Borselius is a truly multifunctional piece of office furniture. The Domo acoustic family is sound-absorbent, with elegant bevelling repeated throughout the series. 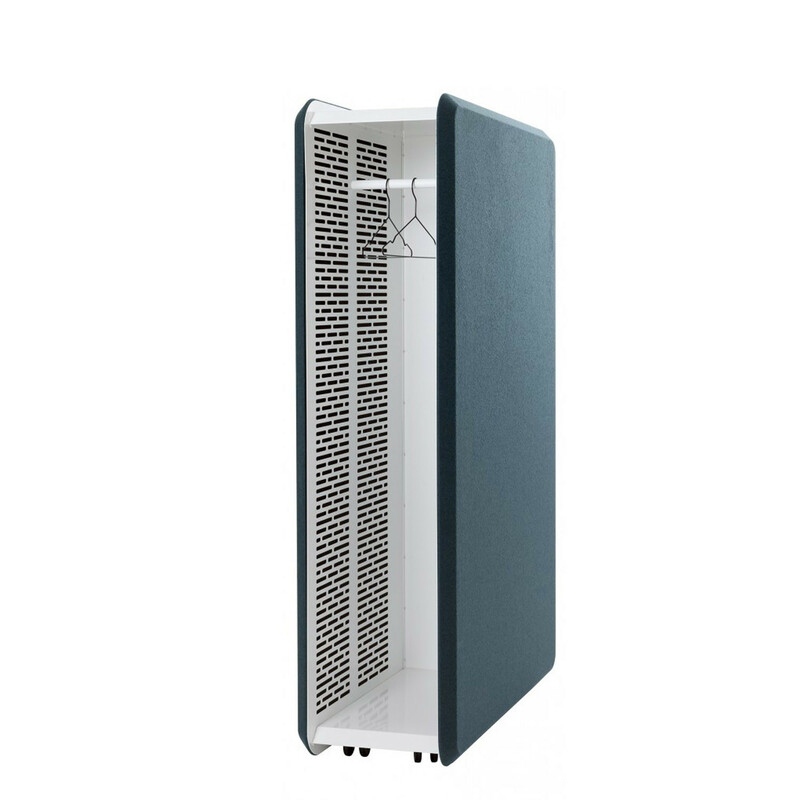 Domo Mobile Office Storage is a range of manoeuvrable sound-absorbent office storage units, which double as acoustic room dividers. Clever! 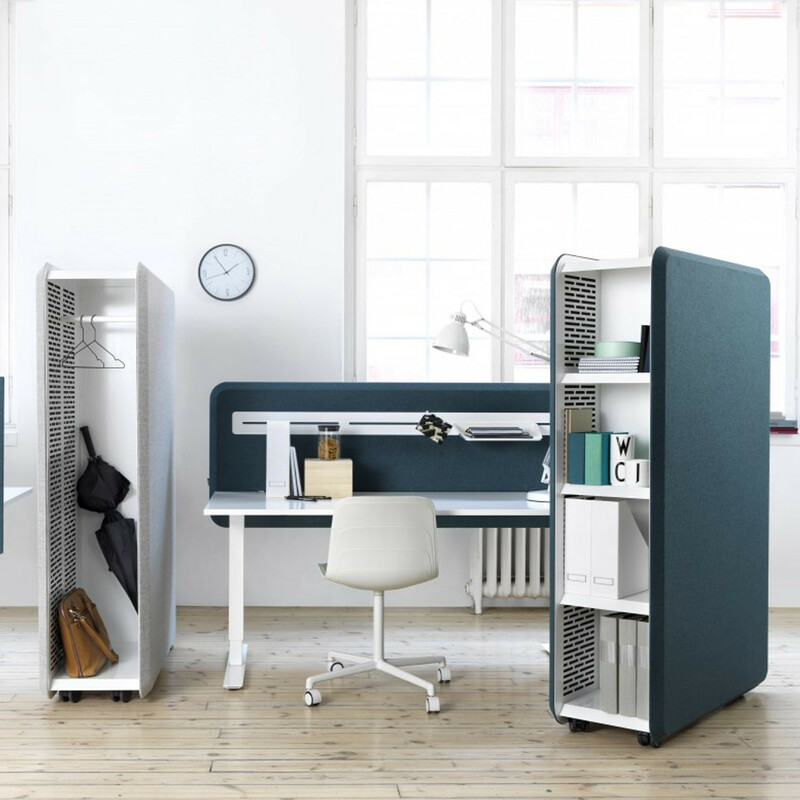 Ideal for modern offices with limited space, Domo Mobile Office Storage, is an innovative yet simple way of creating a good soundscape in a small office. 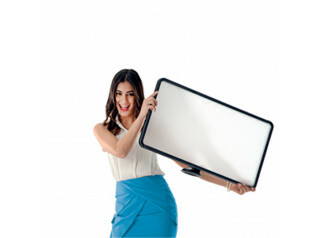 This mobile office storage solution has four wheels, two of which swivel and lock for extra flexibility. The Abstracta Domo Storage unit is made of white-painted metal, framed by an upholstered wooden frame with sound-absorbent filling. One of the short sides contains a wardrobe unit, and on the other side is a shelving system with four shelves. You are requesting a price for the "Domo Mobile Office Storage"
To create a new project and add "Domo Mobile Office Storage" to it please click the button below. 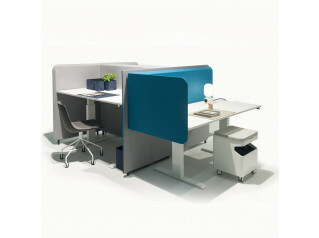 To add "Domo Mobile Office Storage" to an existing project please select below.